There’s been a pledge to support the future of Lurgan Park Rally - following the cancellation of the motorsports event for this year. 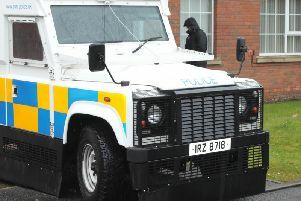 Upper Bann MP David Simpson expressed his regret that North Armagh Motor Club, who are responsible for hosting the rally, have been forced to cancel the event. The local MP pledged his support in securing the future of the rally: “It is regrettable that the organisers of Lurgan Park Rally have had no other option but to cancel the event this year. The earlier date also has a number of event clashes and they had been unable to attract a suitable sponsor as a result. The club will attempt to run a ‘Clubman event’ at a different venue on May 20 and aim to bring back the Lurgan Park Rally in 2018.